Jessica Ellen Cornish, better known under the pseudonym Jessie J, born on 27 March 1988 in Redbridge in England, is a singer-songwriter in English contract with the label Lava Records ( Universal Music Group ). 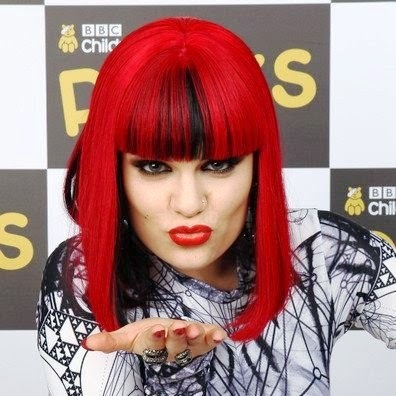 The list of awards Jessie J, is 16 awards and 47 nominations total. 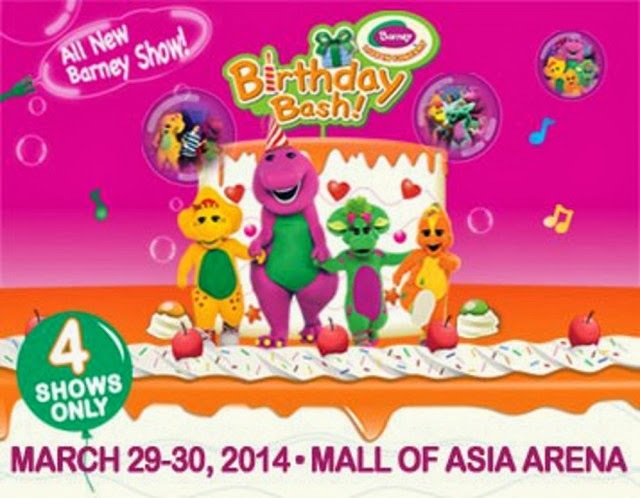 On July 14, 2014, 8pm at the Smart Araneta Coliseum, Quezon City, Philippines, Jessie J will held a concert. She is best known for her debut composed songs for Rihanna, Justin Timberlake, Alicia Keys, or Miley Cyrus, she released her first single, Do It Like A Dude. 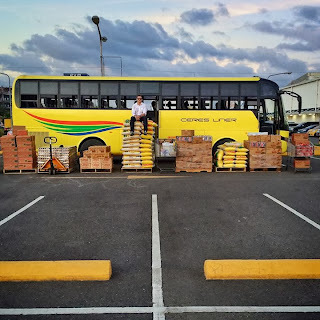 Casey Neistat a popular youtube filmmaker who was contacted by 20th Century Fox, because they wanted to know if he could make a promotional film to get the word out about Ben Stiller's great new movie The Secret Life of Walter Mitty. Mitty is a movie about chasing a dream and they wanted Casey to make a movie about chasing a dream. At that time only one thing came to his mind, and that is to help the victims of the typhoon. Casey immediately replied to 20th Century Fox that the only movie he wanted to make is one where he can give away the budget to those in need. 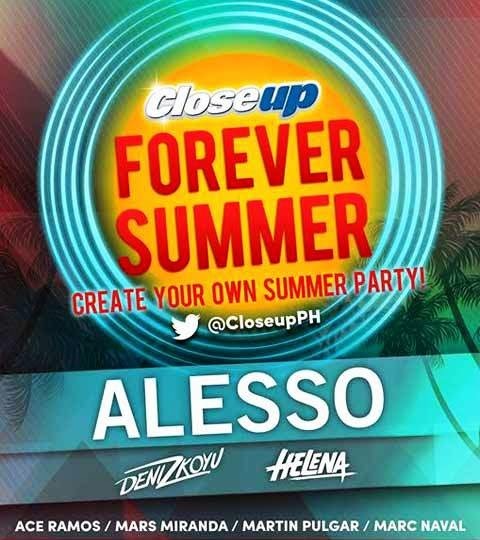 After months of highly-publicized planning on social media, Closeup finally announces the details for this year’s Closeup Forever Summer music festival. 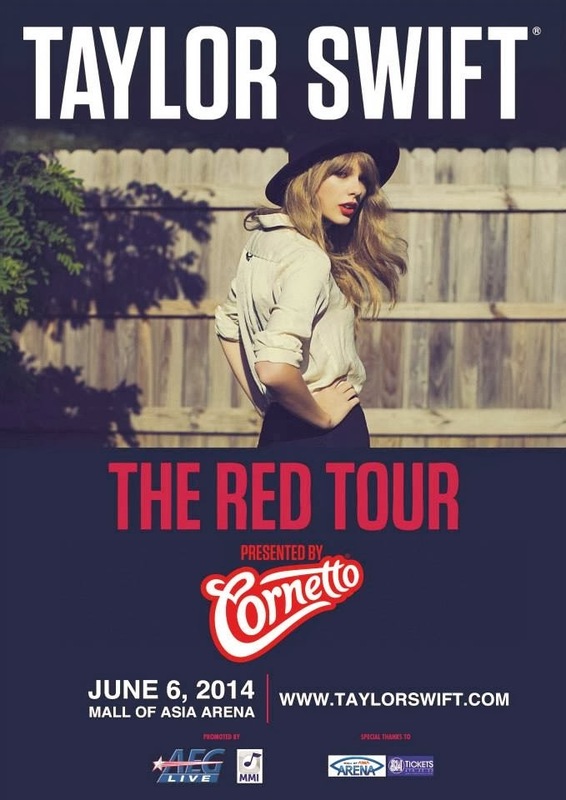 Taylor just announced that this June she’s taking her Red Tour to Southeast Asia, including Indonesia, the Philippines, Thailand, Malaysia and Singapore! 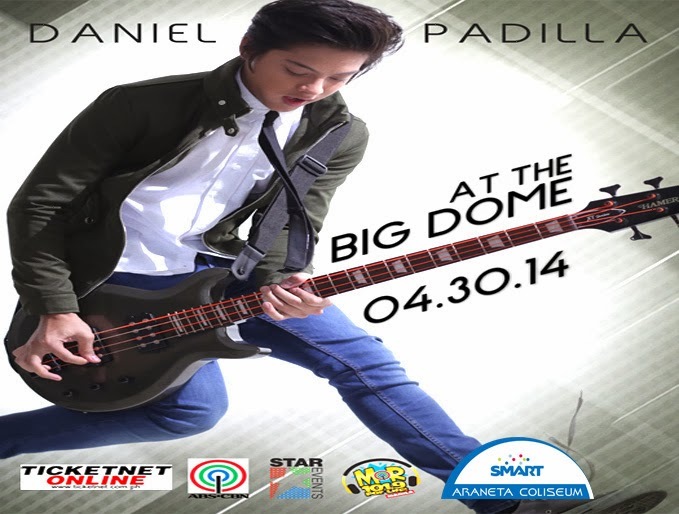 The concert is happening on June 6, 2014, at the SM MoA Arena, Pasay City, Metro Manila. 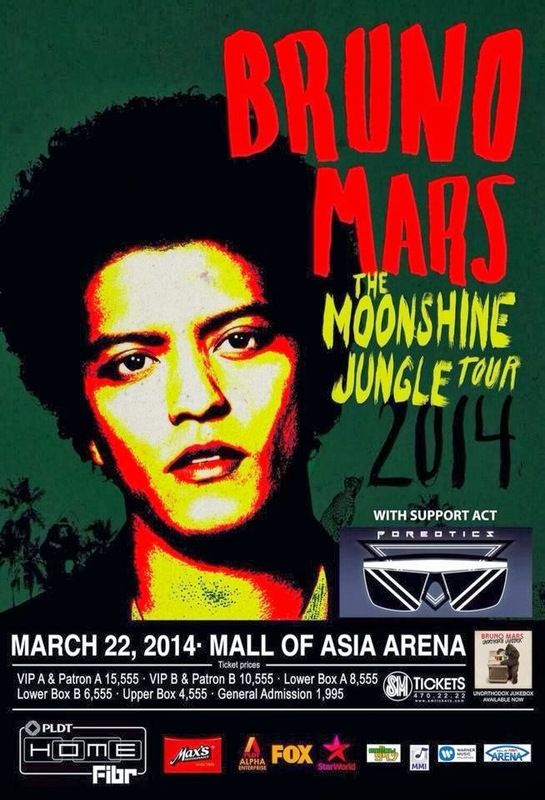 Tickets will go on-sale starting February 20, 2014 at SM Tickets outlets and through online. Lionel Brockman Richie is an American soul singer, songwriter, record producer and saxophonist. Some of his most famous songs are Endless Love ( 1981 , duet with Diana Ross ), We Are The World (written by Quincy Jones and Michael Jackson ), All Night Long ( 1983 ), Hello ( 1983 ) and Say You, Say Me and Truly. 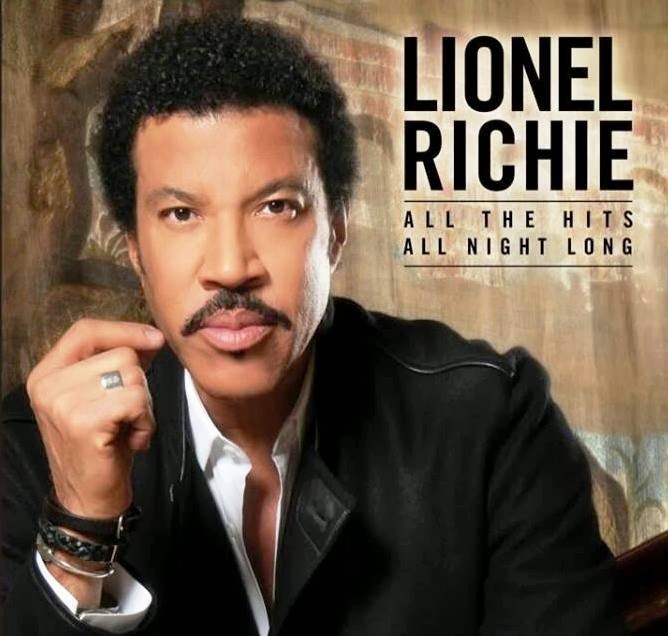 Lionel Richie will be bringing his “All The Hits – All Night Long” World Tour to Manila on Saturday, April 5 at the Araneta Coliseum. Though the three brothers in Before You Exit are just in their teens, they had the talent, sophistication, and confidence to find their distinct pop-rock aesthetic through writing with such songwriting heavyweights. Before You Exit’s forthcoming album is a heartfelt and hook radio-ready debut. The Dangerous Tour: Before You Exit Live in Manila 2014. 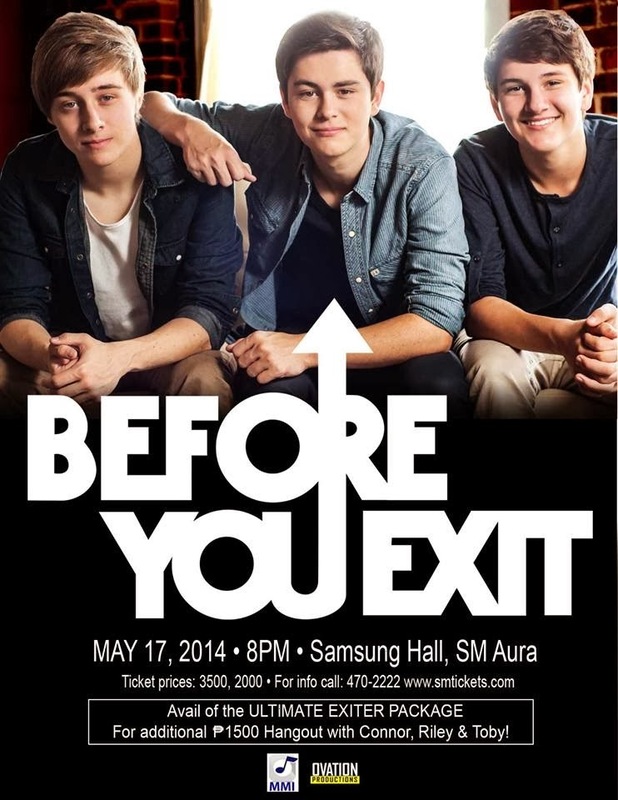 American pop rock band, Before You Exit, returns to Manila for one night only. 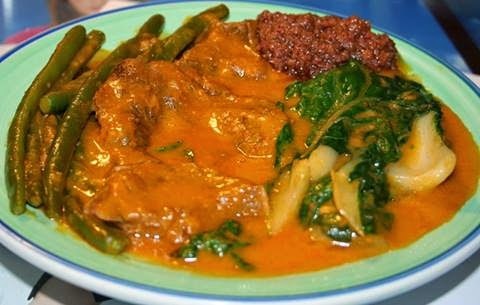 The kare-kare is a Filipino stew flavored with ground roasted peanuts or peanut butter, broth with various vegetables, oxtail and occasionally offal or tripe. The meat can be exchanged for goat or (rarely) chicken. It is often eaten with bagoong (shrimp paste), sometimes with peppers, and sprinkled with calamansi juice. Traditionally Philippine holidays (especially in the region of Pampanga ) are not complete without kare-kare. There are several stories about the origin of this relatively unusual but distinctive Filipino dish. 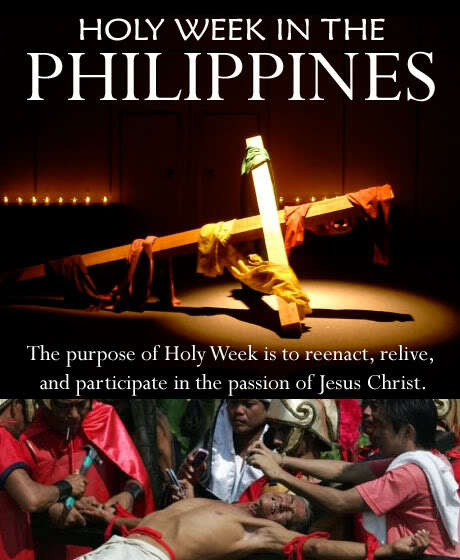 One is coming from Pampanga. Another, which has its origins in the majestic mulberry elite dishes that once it was established in Manila before the Spanish arrival (interestingly, Sulu and Tawi-Tawi the kare-kare is still a popular dish). The mechado is a stew of beef originating in the Philippines. The use of soy sauce and calamansi juice to marinade gives this recipe its distinctive Filipino character. The traditional dish uses a Spanish culinary technique consisting provenance lard or through lean beef with pork bacon strips to make it more tender and less dry. Hence evidently derives its name. The pieces of shredded beef marinated then in vinegar, soy sauce, juice of calamansi, garlic crushed, black pepper and bay leaf. Quickly brown them on all sides in hot oil and then braised slowly in the marinade, adding broth, sliced ​​onion and tomato sauce, until meat is tender and the liquid is reduced to a gravy thick and tasty. The Enchanted River takes its name from the many mysteries surrounding its breathtaking beauty. The locals have a lot of legends associated with the river, many of which involve a various supernatural beings. Some stories about people getting lost in the river or strong swimmers drowning in its depths, never to return. 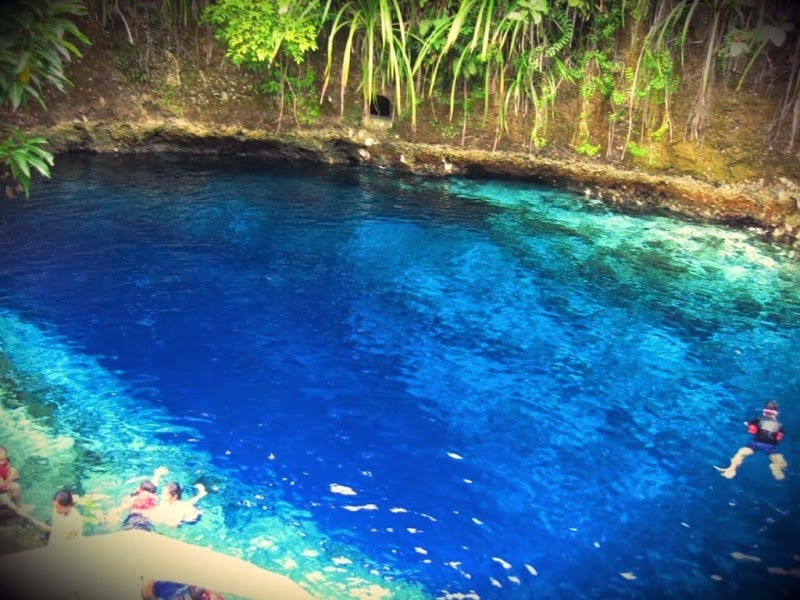 Formally known as the Hinatuan river, the River Enchanted is one of the most popular tourist attractions in Surigao del Sur and the rest of Mindanao. This beautiful river is said to be shrouded in mystery and supernatural events in a way that has earned the reputation of being enchanted. 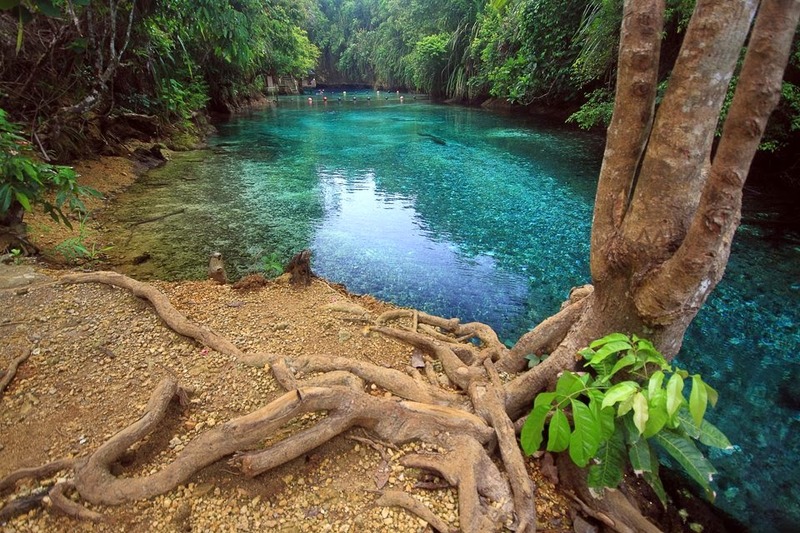 There are many unexplained mysteries and features that this beautiful river has to offer to keep you guessing. Although Isdaan Floating Restaurant is a place of inspiration Thailand, with all those statues larger than life Buddhas, little monks and sirens, they even so handled to include a impress of Filipino tradition in their stores. A floating restaurant that take guests into a different world in the Isdaan floating restaurant Calauan, Laguna. 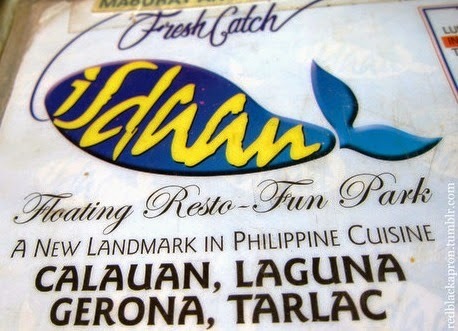 In addition, another site Isdaan is located in the northern part of Luzon - Girona, Tarlac. They have the same atmosphere so it will be just a matter of how close you are to these two sites in terms of deciding which branch you choose and visit. 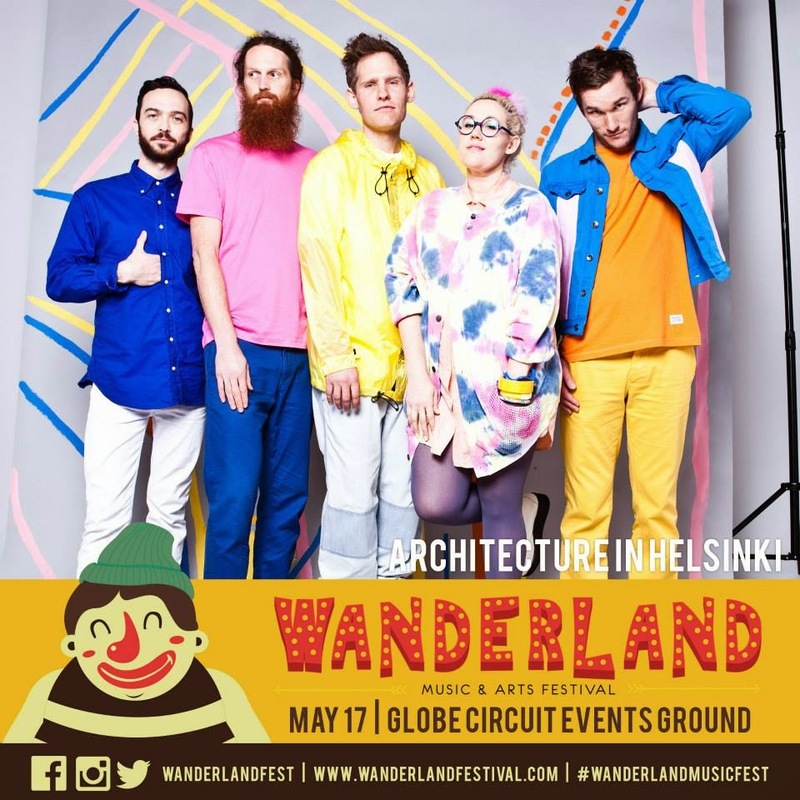 Architecture in Helsinki is a musical ensemble of Indie pop - avant-garde Australia , from the suburbs of Northcote, in Melbourne. The group consists of Cameron Bird, Gus Franklin, Jamie Mildren, Sam Perry and Kellie Sutherland. Most of its members can play multiple instruments. Music Architecture in Helsinki is characterized by a great variety of sounds, obtained through electronic means and by experimenting with lots of instruments including wind instruments-metal , flutes , analog synthesizers, samplers a glockenspiel (also known com Lira), one tuba , one clarinet , one trombone , trumpets and more frequent instruments like drums, guitar and bass. Their second album, In Case We Die ( 2005 ) was recorded with 41 instruments. 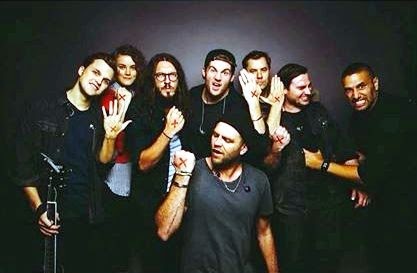 The Hillsong United band is an Australian band pop- rock and praise, and is part of the Youth Ministry of Hillsong Church , Hillsong United. 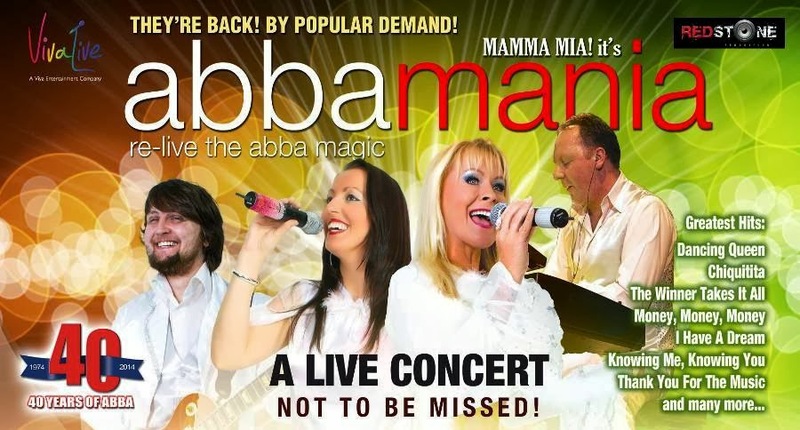 Their music is a contemporary style of praise and worship with an alternative rock. The band was formed by friends within the Youth Ministry of Hillsong Church, originally called 'Powerhouse Youth', led by Donna Crouch for many years. The band played in the youth meetings of Powerhouse, the band's music was sung in the Hillsong Church and other ministries of music, sometimes members contributing to the group and their albums (Darlene Zschech was in the youth group before enter the Hillsong church). 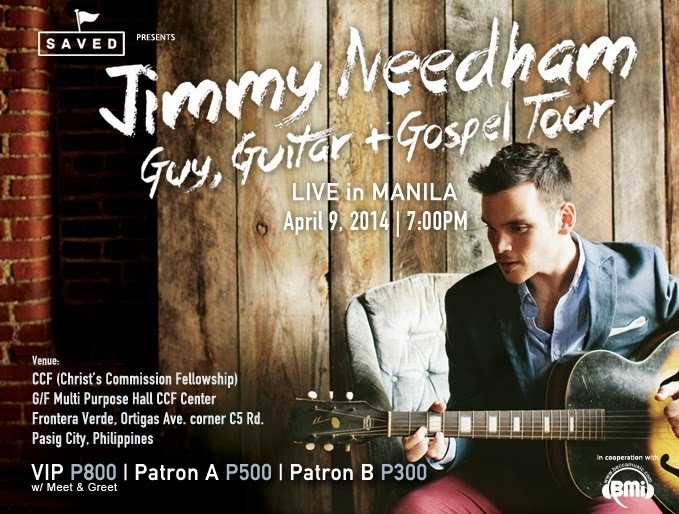 The album's carrier single "No Limitations" is an upbeat tune composed by international Filipino singer Billy Crawford. 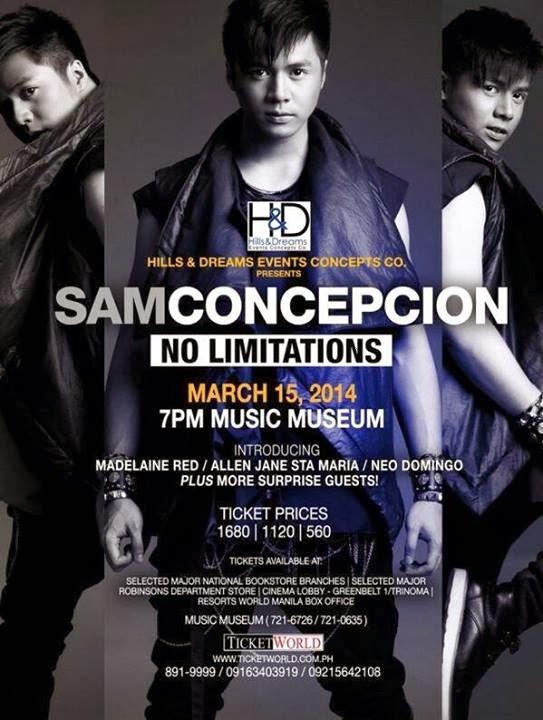 Sam Concepcion won the day at the 2012 Dahsyat Musik Awards possessed in Indonesia. Sam achieved "The Most Awesome Guest Star" award in the morning musical range appearance Dahsyat which airs daily on Indonesia's RCTI Network. 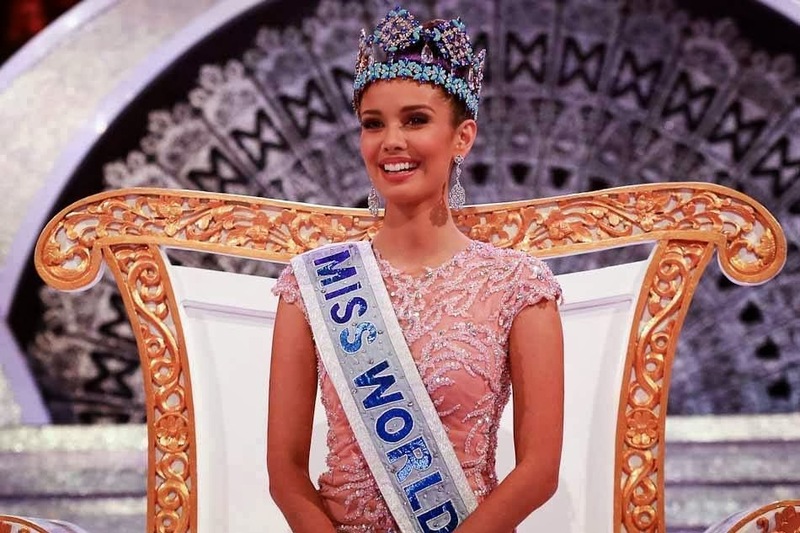 The representative of the Philippines, Megan Young, has been named Miss World 2013 at the conclusion of the ceremony held in the Indonesian island of Bali, in which candidates from 127 countries participated. The first runner-up was the French Marine Lorphelin , and in third place was the Ghanaian Naa Okailey. The main sextet completed the Ibarbia Elena Spanish, Brazilian and Gibraltar Frantz Sancler Kharbouch Maroua, who entered the finals for the popular vote. Rebecca Renee Olstead is an American actress and singer of jazz American born 18 June 1989 in Houston, in Texas, best known for her role as Madison Cooperstein in the sitcom The Secret Life of the American Teenager. It attracted the attention of many artists of jazz. 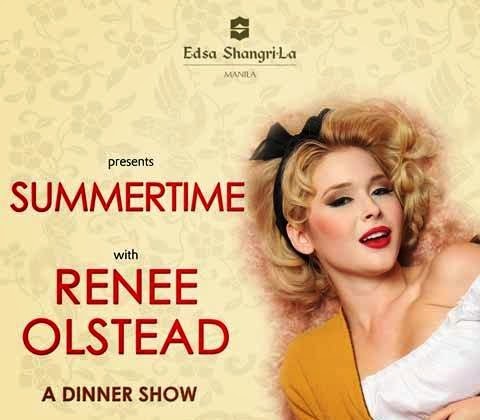 Summertime: Renee Olstead Live in Manila on March 29, 2014, 8pm at Isla Grand Ballroom, EDSA Shangri-La Manila. A paella is a Spanish rice dish from the pan and the national dish of the region of Valencia and the Spanish east coast. The term paella comes from the Catalan (in 1892) and has its origin in the Latin word patella (kind of a big plate or shallow bowl made ​​of metal). In 1900 the Valencian adapted the word paella for the metal pan in which their national dish is prepared. 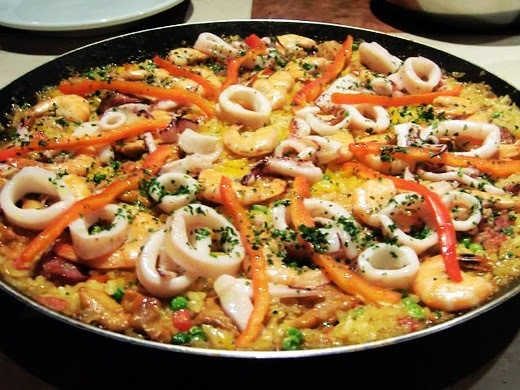 The term paella is occasionally used in Spanish not only on the court, but also for the pan. But today refers to the pan in which a paella is cooked, usually as Paellera. The sausage is a sausage length, filling meat of pork mince. It is produced in several countries, including Argentina, Colombia, Chile, Spain, Paraguay and Uruguay , and also in the rest of South America from the United States, the Philippines, Mexico, the Caribbean and Central America. It is composed of the intestine of pork stuffed with a mixture of ground beef seasoned with spices . In many places, has been replaced gut (intestine) Nature of pork, a synthetic casing. It is characterized by a sausage long and narrow. Lechon is a roasted whole pig, piglet, or cattle seasoned in spices, cooked in charcoal and is a popular dish of the Philippines, Puerto Rico, Cuba and the Dominican Republic. Lechon are cooked during national festivities (known as Barrio Fiestas) and holiday season. Lechon was originally a Spanish cuisine and can be found in many other Hispanic countries. Leche means milk in Spanish and lechon originally meant suckling piglet. One of the tastiest and most delicious Filipino delicacy found throughout the country is the Philippine Lechon. This special culinary masterpiece is part of the Filipino long history, dating back as far as the Spanish-era, hence the name Lechon is a Spanish word for suckling pig. 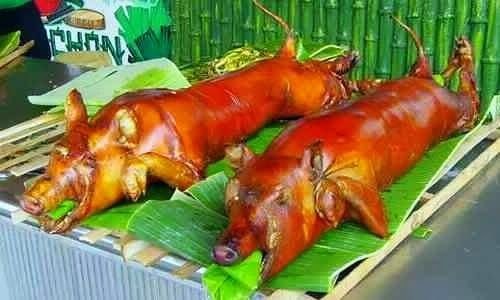 But in the Philippines, lechon connotes a whole roasted pig, commonly called "litsong baboy". 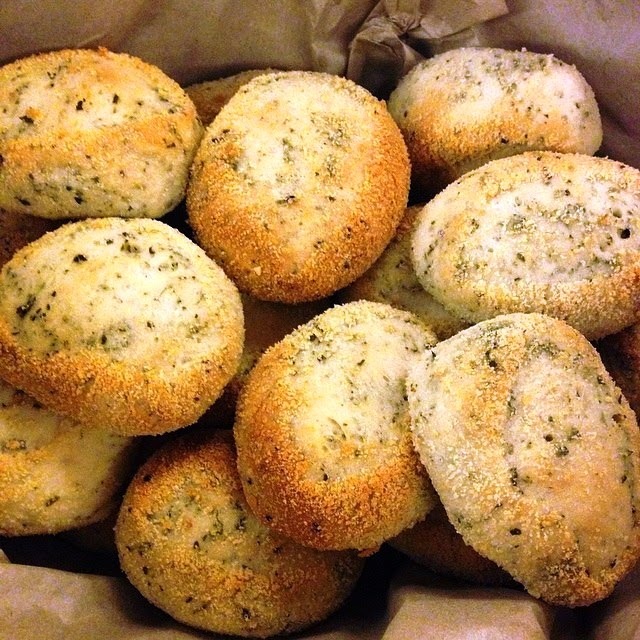 Pandesal is a small buns usually made ​​fresh in the morning, usually an alternative to rice for breakfast. It is usually eaten with a cup of coffee. The pandesal is a bread round eaten in the Philippines mainly for breakfast. It is made ​​of flour, eggs, lard, yeast, sugar and salt. It has a soft, powdery texture and is eaten in various ways with different fillings. It is also eaten with coffee or hot chocolate. Despite its name, has a slightly sweet taste. The pandesal is the most popular bread in the Philippines. 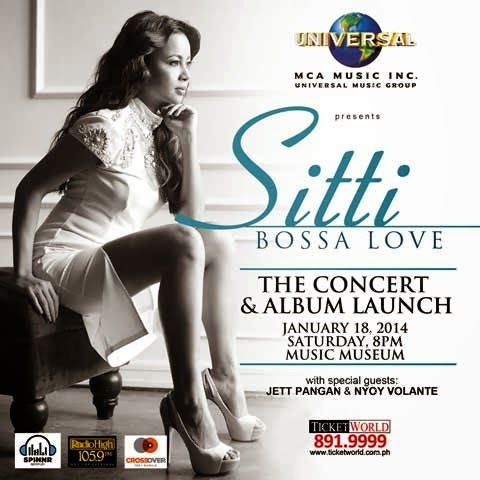 Sitti will be releasing Bossa Love, the highly anticipated follow-up to her 2011 release, with a concert on January 18, 2014 at the Music Museum. 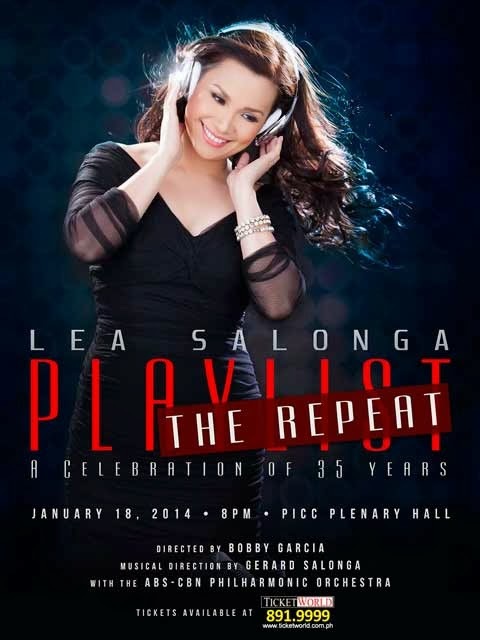 Sitti will be performing songs off the album as well as her most famous hits and will be joined by guests MCA Music artist Nyoy Volante and Jett Pangan. 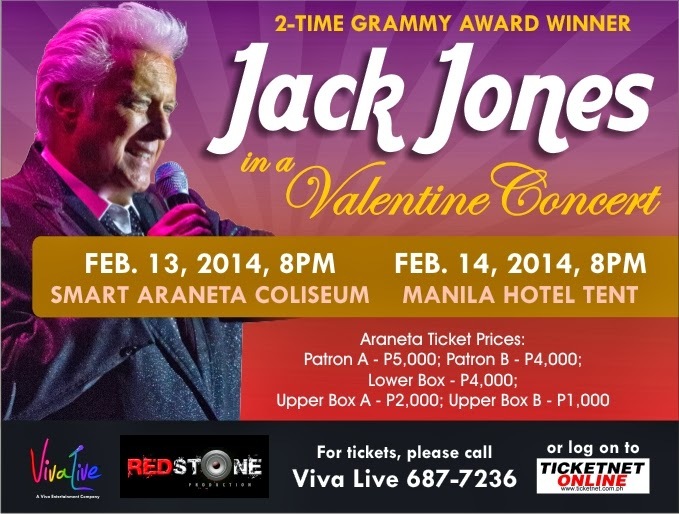 Jack Jones is an American pop and jazz singer and actor. Except for his stage roles Jones has also performed in numerous television productions. He was like his father with a star on the 1989 Walk of Fame in Hollywood honored. 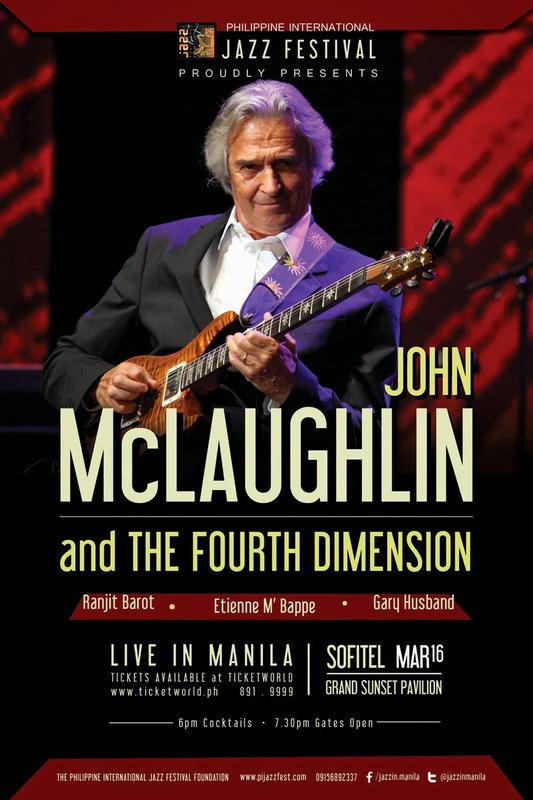 Be inspired this coming Valentine's Day as the American and Jazz Pop Singer of the 60's serenades you with his hits, The Impossible Dream, Wives and Lovers, She, Dear Heart and many many more! 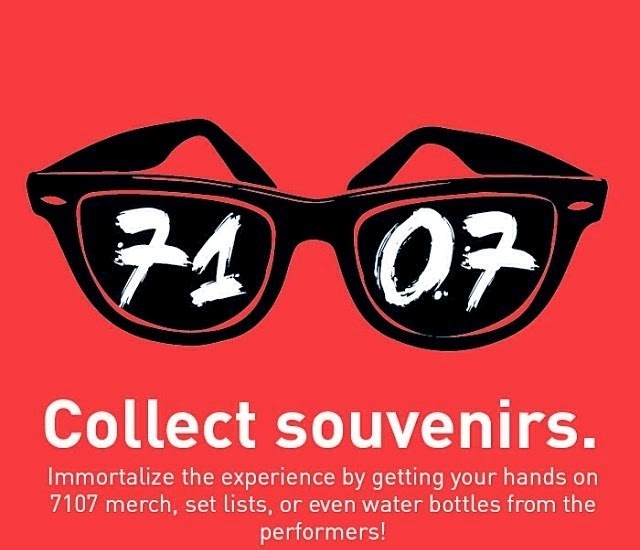 Relive the era that brought us beautiful and memorable songs that have become a part of our lives. Capital Cities – Safe And Sound. 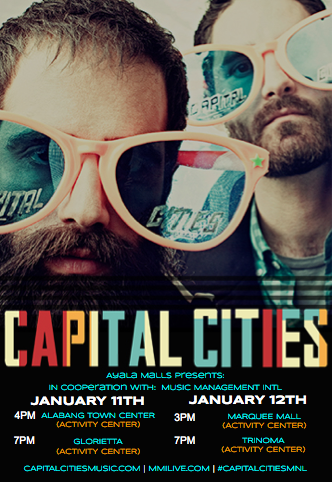 Capital Cities will have concert in 4 Ayala Malls from January 11- 12, 2014. 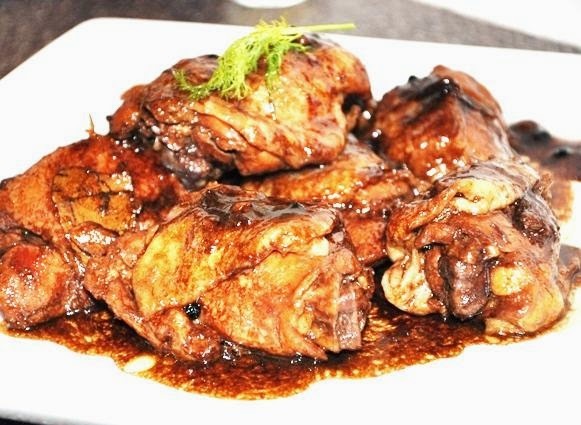 Adobo is a Spanish term that is generally used for seasoning or marinade and is a marinade or seasoning mix describes. 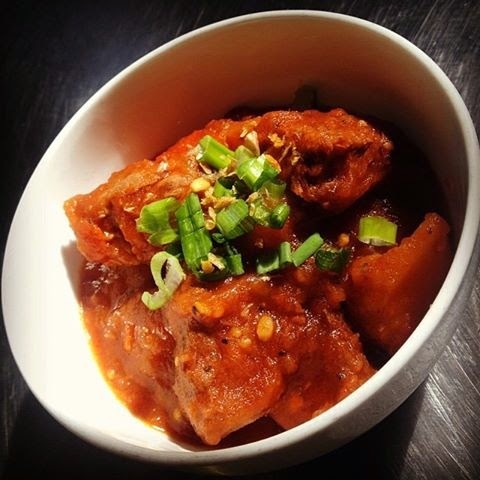 Adobo is for example of marinated dishes such as chipotles en adobo, which from Chipotle is-chillies and marinated with a rich, flavourful tomato sauce. The Court in various regions of Latin America, in Mexico, Peru, Ecuador, Bolivia, to the Philippines and in Spain widespread, with each pork, spices and special peppers used. Although it has a name taken from the Spanish, the cooking method is indigenous to the Philippines. When the Spanish colonized the Philippines in the late 16th century and early 17th century, they encountered an indigenous cooking process which involved stewing with vinegar, which they then referred to as adobo, the Spanish word for seasoning or marinade. Dishes prepared in this manner eventually came to be known by this name, with the original term for the dish now lost to history. Zazzle is an e-commerce which allows users to upload images and create their own merchandise (clothing, posters, etc. ), or buy merchandise created by other users, and use images of the participating companies. Users are allowed to open their own store for free and put the profits, royalties, they want to earn on every product. Zazzle was founded in 1999 by Robert Beaver and his sons Bobby and Jeff Beaver. In 2005 invested Google investors John Doerr and Ram Shriram 16 million dollars in business. The site was granted by TechCrunch as 2007's "Best Business Model" in their first annual "Crunchies" awards, and has been recognized by industry experts, such as B. Joseph Pine, for its uncomplicated technique. In 2010 was recognized Zazzle as one of the "Hottest Silicon Valley Companies" by Lead411. The Stylistics are an American vocal group that had especially in the first half of 1970 a great success. The founding members of the Stylistics in 1966 were Russell Thompkins Jr., Airrion Love and James Smith. 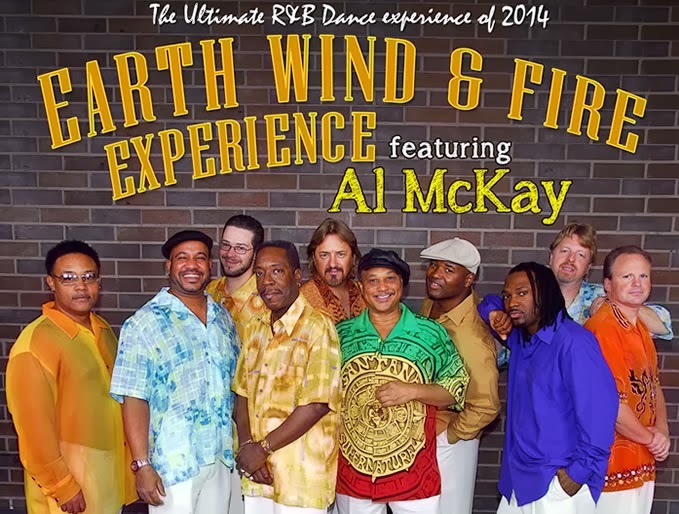 The biggest hit was the 1974 Stylistics You Make Me Feel Brand New. 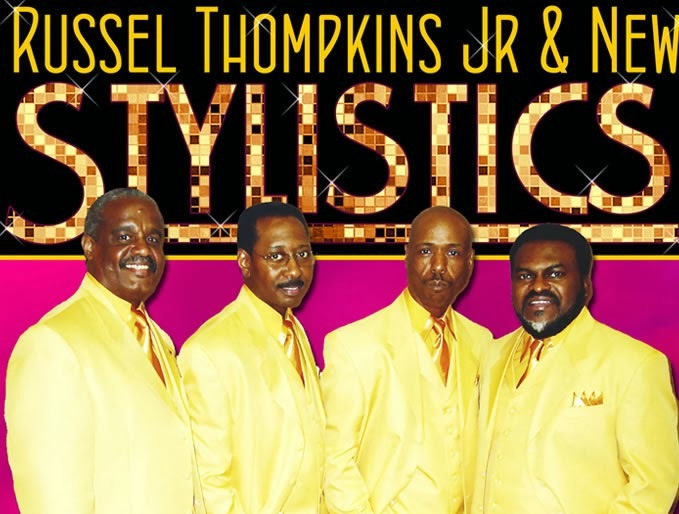 Russell Thompkins, Jr. launched his own group in 2004, the New Stylistics, with the returning Raymond Johnson, plus James Ranton and Jonathan Buckson. 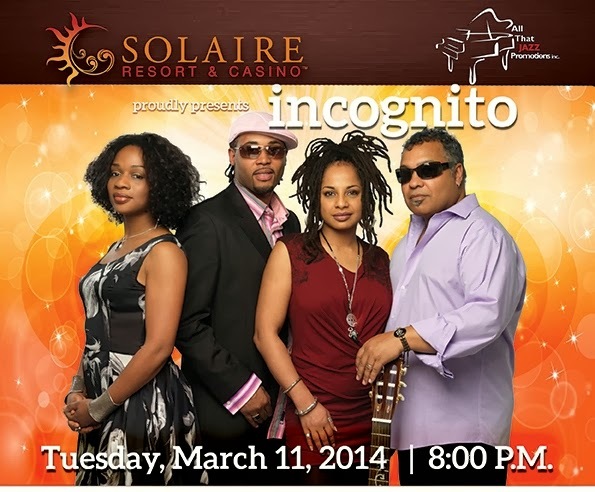 This coming March 1, 2014, Saturday 8:00 PM. 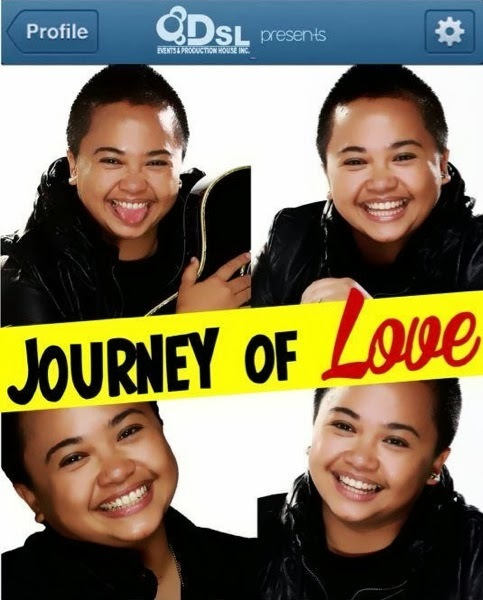 Journey of Love Aiza Seguerra with special guests Tom Rodriguez and Martin Nievera and surprise guests. 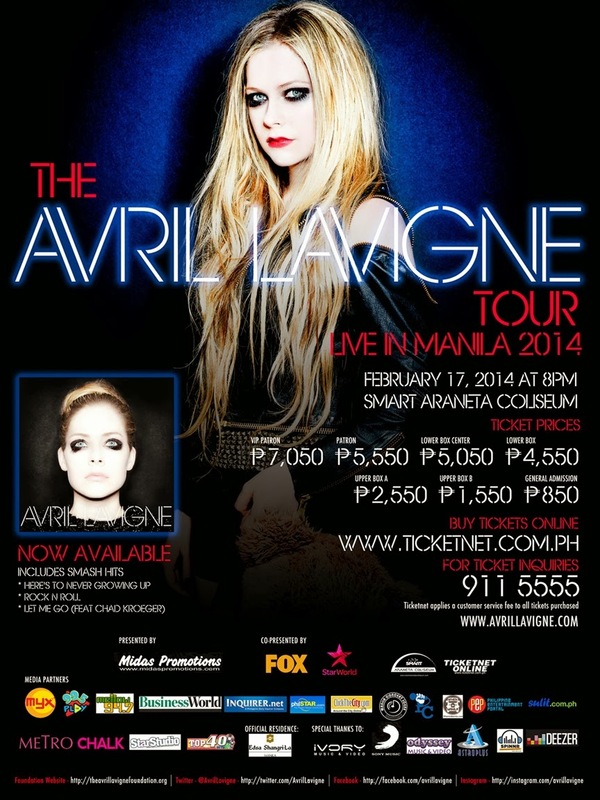 Canadian singer-songwriter, Avril Lavigne, is back in Manila! Armed with a fresh single entitled Let Me Go featuring Nickelback's front man and now husband, Chad Kroeger; Avril will surely show us how to rock the Big Dome! 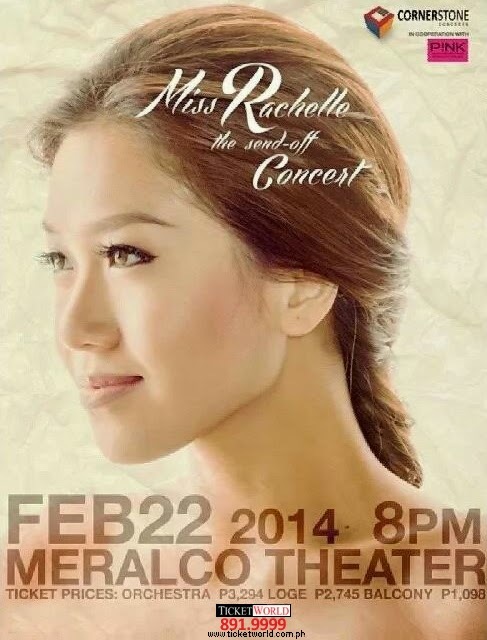 Catch her sing all time favorites as well as new songs from her new album, Here's To Never Growing Up. Macklemore, whose real name Ben Haggerty, is a rapper American. He worked with producer Ryan Lewis, the violinist Andrew Joslyn, the trumpeter Owuor Arunga, the pianist Noah Goldberg and multi-instrumentalist Zach Fleury ( drums , guitar and bass ). Macklemore started to become famous in Seattle since the beginning of his musical career at Garfield High School, often playing the famous Capitol Hill Block Party. 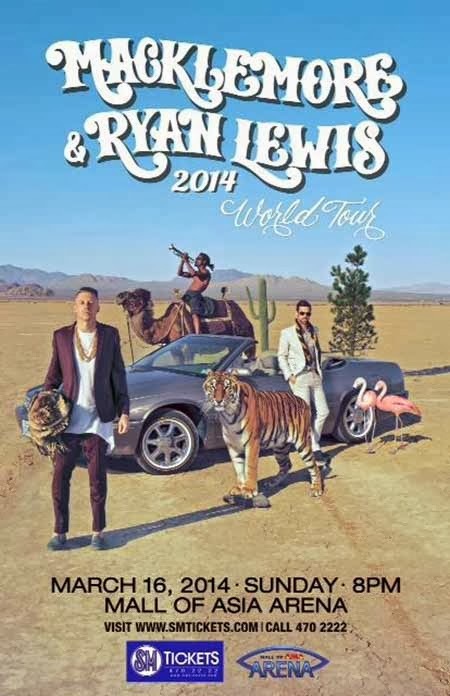 Macklemore and Ryan Lewis yielded seven nominations at the 2014 Grammy Awards, including Song of the Year ("Same Love"), Album of the Year ( The Heist ) and best rap song ("Thrift Shop"). Musicians won in four categories: Best rap album, best rap performance, best rap song and best new artist. 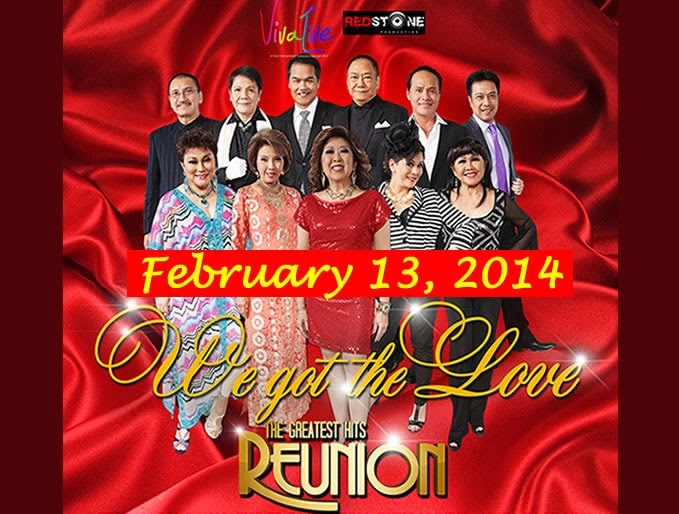 Help and CORZINC present Throwback & Give Back Concert a benefit concert on March 22, 2014 Saturday 7:00pm at Aliw Theater CCP Complex, Roxas Blvd, Pasay City. 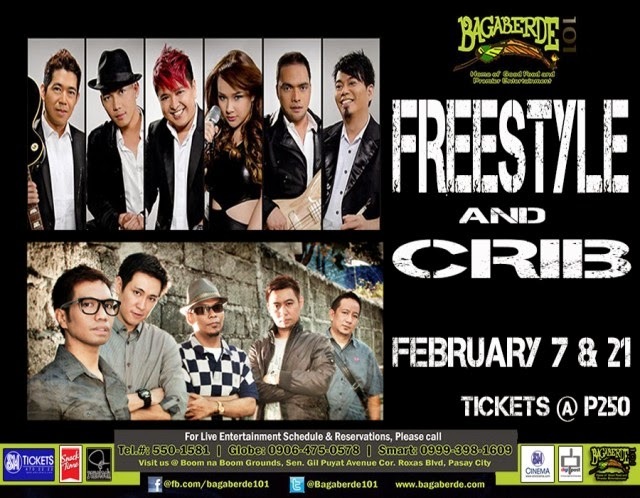 The performing artists are Side A; Nyoy Volante; Klarisse (The Voice)and Ryzza Mae Dizon with Introducing: Chinoy Star Ka Na Talents. The Philippine cuisine combines Spanish - Mexican , Chinese , Indian , Japanese and American influences on the regional cuisines of the different ethnic groups in the Philippines have worked. The Filipino cuisine, like the Philippines itself has evolved over the centuries under the influence of different cultures. It has been influenced by Chinese, Malaysian, the Spanish, and to a lesser extent by the American and Indian culture, which has resulted in a unique, multi-cultural mix of ingredients and dishes. 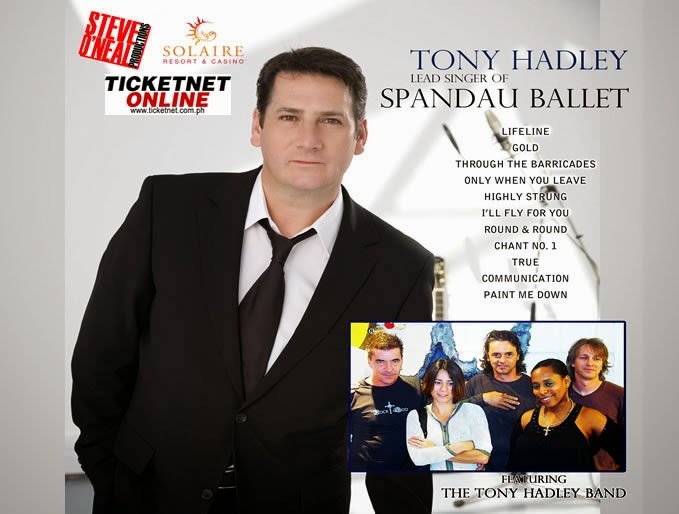 TICKET VALID ANY DATE SPECIFIED. ONE ENTRY ONLY. Why Franchising Is in demand ? Franchising has been deemed as a hot commodity in the country, mainly because Filipinos are practical thinkers and with this comes the copying of trends. It would be quicker and easier to be a franchisee in an already successful fast-food chain, then to start a new unknown business where you have to input much effort into getting the modern one to draw in consumers. With starting a fresh one comes the trial and error for the daily operations, publicity, and courage to waste loads of cash for something that is uncertain. 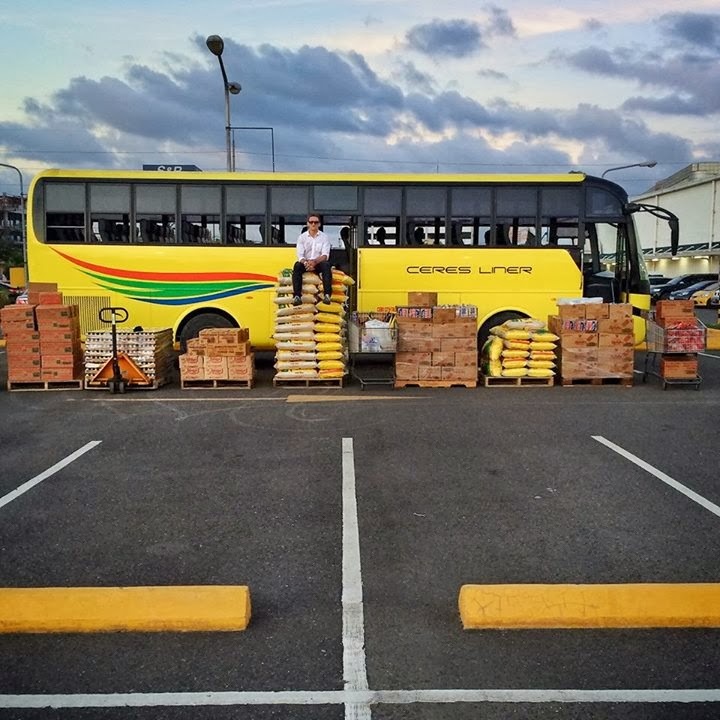 Franchising would be an easy business, and it won’t really have those risks that would involve in creating one that’s relatively new to the consumers’ ears. Henry Sy ranks as the highest among the five Filipinos who made it to the Top 500 billionaires list. Philippines Holy Week Tradition - Family Easter Feast at Yats Restaurant in Clark Pampanga, a sumptuous affair that residents of Pampanga as well as visitors from Manila and tourists from abroad look forward to when spending Easter Holidays in Clark. During Holy Week in the Philippines, thousands of Manila's families travel out of town, many to the north towards Bulacan, Tarlac and Pampanga. To residents of Pampanga Angeles City, San Fernando and Subic, the Easter Good Friday Feast at the famous fine-dining restaurant in Clark Pampanga called Yats Restaurant, and Wine Lounge is like a tradition. Summertime is here once again, and there’s no other ideal place to spend this time of the year than in Fairways & Bluewater Newcoast Boracay. Here, travelers will get the chance to stay in one of the finest accommodations in the island at lowered rates. This is possible through Fairways & Bluewater’s Summer's Hotter at Fairways promo. Aside from the discount on room rates, guests who will be taking advantage of this offer will receive many other perks and inclusions. These include, welcome drinks, activities like Zipline and Segway riding, buffet breakfast, complimentary round-trip transfers from Caticlan Airport to the resort, and free all-day shuttle services within the resort and to D'Mall.